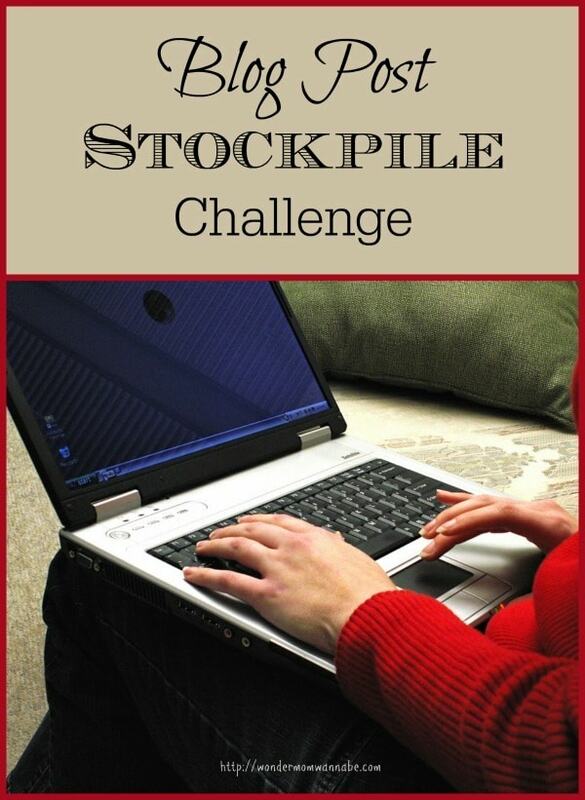 A few weeks ago, I launched the Blog Post Stockpile Challenge. The goal is to build up a bank of blog posts to use when life gets chaotic or you want to take a vacation. Those who signed up for the challenge are about to start Week Five, but at the end of each week I post our latest challenge for those who didn’t want to officially join or for anyone who has stumbled upon these posts late. If you’d like to join the challenge, it’s not too late. Simply fill in the form below to get the weekly e-mails and then join the Blog Post Stockpile Challenge Facebook group. Every Thursday afternoon, I e-mail the next week’s challenge. Or, you can wait until the following Thursday and find it posted here on Wondermom Wannabe. Here is the Week Four Challenge. I am just now stumbling upon this! I am so glad that I did! I am new to the blogging world and have been trying to balance being a stay at home mom, a freelance writer, and now a blogger. In the beginning I was just writing day by day but want to make more of an effort to get things done ahead of time so there is less stress in that aspect of my life. Thank you!! I think your post for week four was a great tip! I generally try to schedule posts a week out, and always forget to do themed posts (except for Christmas, for some reason). This week’s tip for the challenge is one of my favorites. I use it all the time. I’m really enjoying the challenge – it’s gotten me thinking about how I write my post.